Once again, it’s time for a roundup of headlines from 100 years ago. At this point, the “war in Europe” has ramped up to where people are seeing it as a “World War.” No one is expecting a quick end, and the horrors of the trenches have become facts of life for thousands of young men. The movies are an important escape, but European film production is suffering from the economic pressures and sheer mass of manpower diverted to war-production. The United States is increasingly entrenched as the world’s major film-exporting country, as it will be for many years after the war ends. Science: On May 2, Clara Immerwahr commits suicide. She was the first woman to earn a PhD in Chemistry and an advocate of women’s rights. 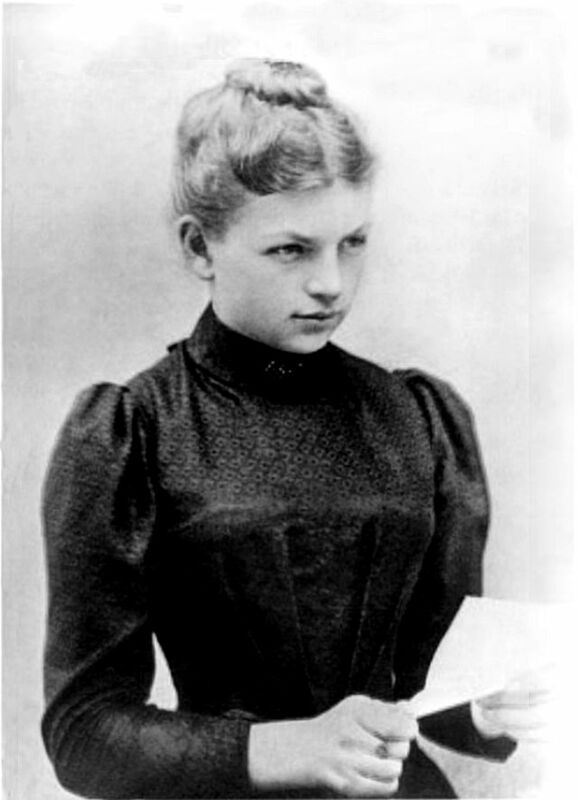 She was married to Fritz Haber, another chemist, and was known to have helped him in his work. Haber was a staunch supporter of the German military, while Clara was more pacifist in outlook. Haber’s work (and, presumably, Clara’s) contributed to the gas attack in Flanders in April, 1914, and it was clear that his career would be dedicated to Chemical Warfare for years to come. This may have influenced Clara’s decision to take her life, using her husband’s service revolver, before a second planned gas attack on the Russian Front. Literature: Canadian soldier Lieutenant Colonel John McCrae writes the poem “In Flanders Fields” on May 3. It begins with the refrain “In Flanders fields the poppies blow/Between the crosses, row on row.” Poppies will become symbolic of Remembrance Day in Canada and other Dominion countries for at least the next 100 years. Sports: Babe Ruth hits his first career home run, May 6. Although he is mostly remembered for his long tenure with the New York Yankees, at this time he plays for their arch-rivals, the Boston Red Sox. World War: On May 7, a German submarine sinks the RMS Lusitania with a torpedo. The ship, which was believed to be carrying military supplies to Britain, was also a commercial liner loaded with civilian passengers bound for Liverpool. Of these, 1,198 died, with 768 rescued. 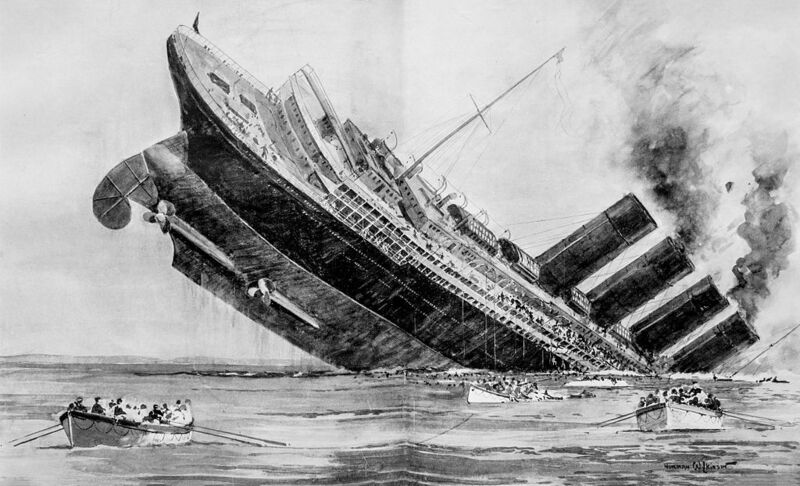 128 of the dead were American citizens, and the sinking of the Lusitania became a major diplomatic dispute between the US and Germany, with American sentiment shifting increasingly toward the Allies after this point. Accidents: On May 22, five trains collide near Quintinshill in Scotland, claiming 226 lives, mostly troops headed for the front. This remains the worst rail disaster in UK history. 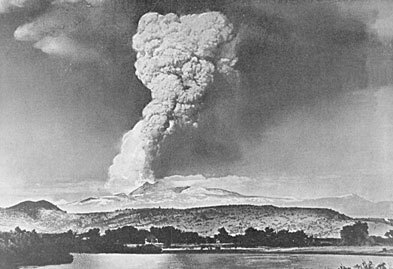 Natural Disasters: In California Lassen Peak erupts, May 22, following more than a year of rumblings and several days of minor explosions. A huge plume of volcanic ash rose 30,000 feet into the air and was visible from 150 miles away. Diplomacy: Italy declares war on Austria, May 24. By this time the Fasci d’Azione Revoluzionaria, allied with Benito Mussolini, have been agitating for war for six months. Politics: The Liberal government of Prime Minister H.H. Asquith ends in the UK on May 17, when he arranges a coalition government with leaders of the Conservative Party. This is ultimately not enough to stop his decline in power, and he resigns in 1916. The Liberals will never hold power outside a coalition in the UK national government again. Births: Alice Faye, May 5 (she would appear in “Hello, Frisco, Hello” and “Four Jills in a Jeep”); Orson Welles, May 6 (who went on to make “Citizen Kane” after scaring the bejeepers out of people with his radio version of “War of the Worlds”); Renee Asherson, May 19 (who was in “Henry V” with Lawrence Olivier and “Theatre of Blood” with Vincent Price).